habitaclia.com arm you with the experience of having made the creation of over 700 websites for companies housing sector. Having an own website for your business where you show your customers your portfolio of properties and promotions, inform customers of the location of your offices, schedules and phone help increase your corporate image to customers and third parties. With Inmofusion - Webs inmobiliarias you can show your portfolio of properties over the Internet with all the possibilities and benefits of our advanced computer system. You can display your properties in great detail and have the most powerful search engine market, completely customized to your corporate image. Offer your customers superior service quality through the Internet. Your properties will be available to all clients available 24 hours a day, 7 days a week, from anywhere in the world in any language. Thanks to our technology platform the data stored on your web site can be sent to habitaclia.com estate portal without entering the data into multiple applications. And you can use our property management program Inmofusion to update information on your website and habitaclia.com at once. 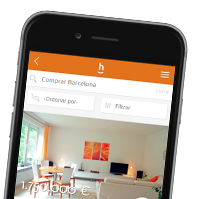 Looking for real estate management program easy to use and integrated with habitaclia? Post your portfolio of properties and developments of new work in reference real estate portal.